CAPIT is so easy to use, teachers complete our Onboarding and PD in 2-Hours and become proficient in the use of the program within the first 2-Days of classroom implementation. CAPIT provides comprehensive and ongoing Teacher Training, so Principals and District leaders need not worry about training teachers in phonics. We train and support your teachers throughout the year. CAPIT is a curriculum, because Learning to Read is Not a Game. We removed the Virtual World, the Animated Characters, and the Extrinsic Rewards such as currencies and badges. CAPIT is NOT A GAME. It's a Curriculum that engages students BY learning, and NOT by external motivators. In every interface, students are Reading, Writing, Spelling, and Typing. CAPIT is 100% LEARNING 100% OF THE TIME. Learn more about our LESS-IS-MORE philosophy. CAPIT delivers Actionable Student Data in all literacy sub-skills. District Leaders and Principals can help students BEFORE they fall behind. Teachers, Principals, and District Leaders can track student progress along the phonics continuum, track daily usage, compare class and school averages, and keep parents informed and involved. We made learning to read so simple, We Removed the Instructions. When teachers invite CAPIT into their classroom, they are not competing with a guest lecturer. CAPIT teaches without "verbal instructions." Your teachers are the only teachers in their classroom! CAPIT has no "virtual instructor." Instead, students Explore Sounds and intuitively Create Letters, Blend Words, and Assemble Sentences. Learn more about our LESS-IS-MORE philosophy and the STUDENT EXPERIENCE. It Comes ELL Ready Out of the Box. CAPIT never communicates verbal-instructions to students—not in English, not in Spanish, not in any language. CAPIT thus accommodates ELL students Out of the Box, without any modifications or additional teacher training. ELL Students use CAPIT the same way as Native English Speakers. Learn more about how CAPIT accommodates ELL STUDENTS. Teachers are better than Animated Cartoon Characters. CAPIT Keeps Teachers Involved. CAPIT is a Teacher-Led, Teacher-Supported curriculum. Teachers are superior to digital devices because they are both intelligent and adaptive. We did not set out to replace teachers with a digital program. Instead, we created a digital curriculum that keeps teachers involved throughout the learning process. Learn more about the TEACHER EXPERIENCE. Because CAPIT doesn’t look like a game, Older Struggling Readers are more comfortable using it. Schools implement CAPIT in Kindergarten, Transitional Kindergarten (TK), and First Grade across the board, and in smaller groups of older struggling readers (RTI and SPED). 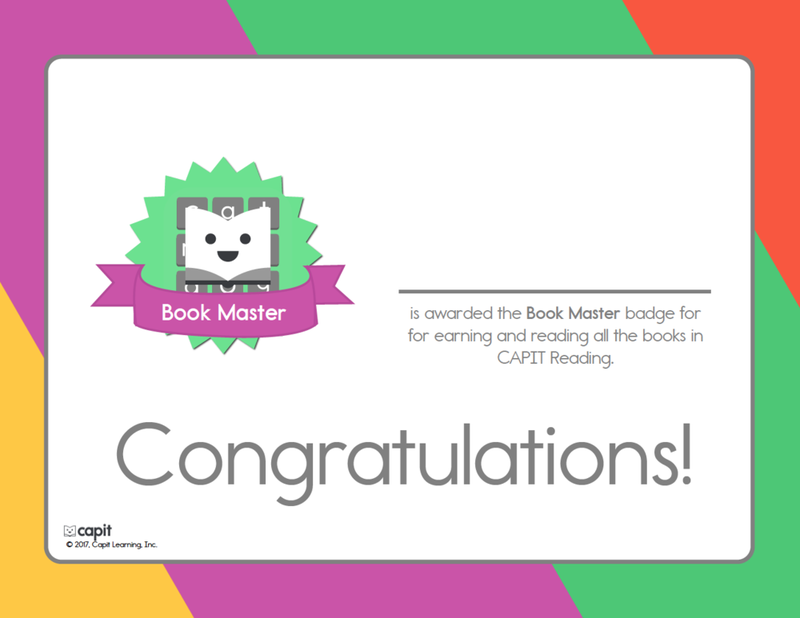 Learn how CAPIT can help your STRUGGLING READERS. CAPIT offers a complete Transitional Kindergarten (TK) Curriculum. 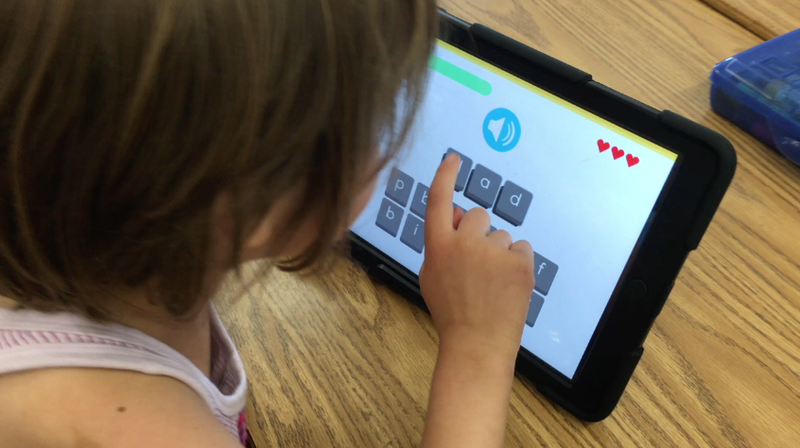 CAPIT enables young Transitional Kindergarten (TK) students succeed in Kindergarten and beyond by equipping them with essential literacy sub-skills, such as knowledge of letter sounds, blending and segmenting. CAPIT also exposes advanced students to the entire phonics continuum. Learn more about our TRANSITIONAL KINDERGARTEN (TK) curriculum. CAPIT includes Reading, Spelling, Penmanship, Writing, Beginning Keyboarding Skills, Digital Books, Handwriting Books and Handwriting Worksheets, and Physical Resources. Our complete phonics solution ensures teachers get all their Digital, Downloadable and Physical Resources in one place. Learn more about our PRODUCT DETAILS.